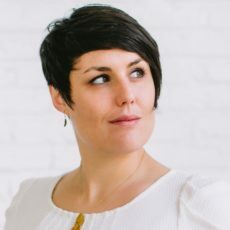 Sara Wachter-Boettcher, a web consultant who works on designing things for people to use – and has just written a book about how that process so often goes so horribly off-track. It’s called Technically Wrong: Sexist Apps, Biased Algorithms, and other Threats of Toxic Tech. Like this? Subscribe on Apple Podcasts , or paste our feed link into any podcast app that doesn’t have us listed. Music: “Scuba” by Simun Mathewson, under Creative Commons – Attribution License.